You might think that filing a personal injury claim without a lawyer seems easy, but if you try, it may quickly become apparent that insurance companies don’t have your best interests at heart. They are only interested in their own financial welfare, and they will do their best to push back all or part of your personal injury claim. Insurance adjusters are expected to diminish the value of claims, leaving injured victims unable to pay for their medical bills and everyday expenses. In fact, your claim might even be denied altogether. At Jorgensen Law in San Diego, our injury law attorneys have the necessary experience and knowledge to deal with insurance companies. We know the tactics they’ll use to try to deny your claim and our personal injury attorneys, paralegals, and case managers will speak to the insurance company on your behalf and fight to get you compensation for your injuries. Let us help you recover damages for past and future medical bills and lost wages, as well as pain and suffering. 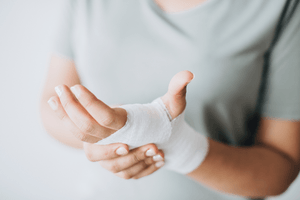 Getting proper medical treatment – We can help connect you with medical providers who will treat you on lien and document your injuries to back up your claim. Getting a bigger settlement – Insurance companies will always try to pay the least amount of money possible. Going it alone might mean settling for less than your case is worth. Accident victims with representation often receive up to three times more money than those who represent themselves. Preserving evidence – Most defendants don’t openly admit fault, so you will need evidence to win your case. The sooner you discuss your case with a lawyer, the more likely you can preserve the evidence you need. This is especially crucial in wrongful death cases. Beating the statute of limitations – The most important reason to move quickly is that you only have a limited amount of time to file a claim. If you miss the deadline, you’ll lose your chance to recover compensation. 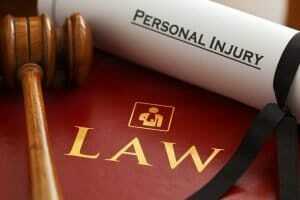 Hiring an injury lawyer in San Diego at Jorgensen Law is essentially risk-free. We work on a contingency fee basis, which means we don’t get paid unless we win your case. Because we have a vested interest in your recovery, you can be sure that we’ll fight aggressively to obtain the compensation and justice you deserve. If you or someone you love has been injured or killed in an accident caused by another party, contact our law firm in San Diego at 1-888-855-2948 or fill out our online form for a free consultation.